Who appointed directorate level employees to An Bord Pleanála, EPA, ESRI, RTE and others between 1995 and 2010? RPS represents Dublin City Council's incinerator team and has a "former" RPS employee on the Board of Bord Pleanála. Apparently RPS received the majority of €25 Million in 'consultancy fees' from Dublin City Council, with DCC apparently controlled by The Galway Tent. EPA's "independent" Board contains a former industry employee (Burke of Indaver), a situation condemned by The Green Party in 2005. An ex-EPA Director has worked to promote the Poolbeg Incinerator and the failed West Dublin Incinerator. DUBLIN CITY Council paid almost €125,000 for a February 2010 Economic and Social Research Institute report. 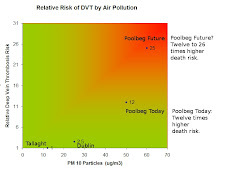 This report was published in Dublin on the day of a Covanta media event in Dublin - purely a coincidence says the ESRI's report writer. In April 2007, CBRE's Director of Research made a curious presentation to the Poolbeg Incinerator Oral Hearing, under the influence of DCC. Was the Bord Pleanála Inspector fully informed? Was this an early indicator for Judge McKechnie's unapproved judgement? "Artistic images" of the incinerator are widely used by RTE. Do these images truly and fully honestly inform? Do they come directly from the incinerator promoters? 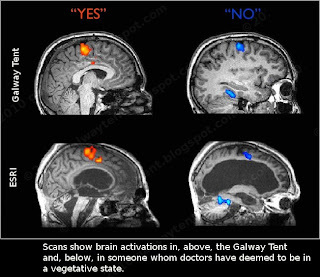 Has RTE fully informed the public? Does the Irish Times provide robust critical insight to the talking points it receives from Dublin City Council? Has The Irish Times declared the sums in advertising revenue which it has received from RPS and Dublin Council over the past ten years? 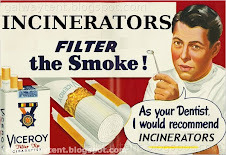 Has The Irish Times investigated and reported the history of Covanta's contracts and Covanta's history of fines for the management of its modern incinerators? Has The Irish Times investigated the Poolbeg Incinerator process, a process supposedly carried out in the public interest? Incinerator advisers paid €21 million. © Thomas Crosbie Media 2010. The Irish Waste Management Association have called for the Poolbeg incinerator project to be halted immediately. They have also demanded that a thorough examination of all aspects of the project should be carried out, including contracts, the size of the facility, and the "extraordinary" level of monies used. The Minister for the Environment has estimated that these penalties could cost the taxpayer up to €450m over the duration of the Poolbeg incinerator. This follows the acknowledgement from the ESRI that major errors were made in their report – An Economic Approach to Municipal Waste Management in Ireland. Brendan Keane, Spokesperson for the IWMA, said. “It is inconsequential whether the ESRI report is being withdrawn or re-examined. The point remains the same, the findings of the ESRI report have been seriously undermined” explained Keane. "The acknowledgement of significant errors in the report follows the confirmation that Covanta is already planning to import waste – from across Ireland or from abroad – for treatment at Poolbeg. "This became clear at the appearance before the Oireachtas Committee on the Environment by Dublin City Council and Covanta last Wednesday, and highlighted again that the facility planned at Poolbeg is way too big for the Dublin Region,” said Keane. “The IWMA is now calling for the Poolbeg project to be completely halted. The inspector which is to be appointed by the Minister for the Environment, Heritage and Local Government should undertake the most thorough examination possible of all aspects of the Poolbeg project,” he said. The IWMA fear that taxpayers could be exposed to heavy penalties if Dublin City Council fails to provide a high level of waste to the Poolbeg project. Dublin City Council to date have spent €120m on the Poolbeg project, which the IWMA estimate to be over 20 times more than a private operator would have spent. They have also expressed fears that the oversized incinerator will severely harm recycling rates in the Dublin region. Justine McCarthy: In all honesty, O’Dea’s perjury is a sad sign of our lying times.